In Reading as therapy Timothy Aubry considers six novels that he regards as representative of American middlebrow fiction: Toni Morrison's Paradise, Rebecca Wells's Divine secrets of the Ya-Ya sisterhood, David Foster Wallace's Infinite jest, James Frey's A million little pieces, Anita Shreve's The pilot's wife, and Khaled Hosseini's The kite runner. The novels Paradise and The pilot's wife have been featured in Oprah's Book Club and The kite runner has achieved a very large number of Amazon reviews from readers. Aubry devotes a chapter each to the six books and argues that American middle class people read fiction of this kind as therapy. What Aubry means by therapy is an induction into the language of inner life along with a cultivation of empathy and the idea of emotional commonality among all people. Though more significant than scholars generally acknowledge, emotional responses are, of course, never enough. Indeed, this inadequacy is a structural feature of the therapeutic, which makes promises it cannot keep and thereby reproduces the conditions that demand its further operation (p. 207). I find it interesting that Aubry discerns a growth of empathy as a significant trend in effects of what he calls "middlebrow" fiction, and that he says that scholars—I take it he means scholars in cultural studies and English literature—have not acknowledged the importance of emotional responsiveness in novels. At the same time, I find it distressing that in Aubry's cultural analyses almost no empirical evidence is offered from which arguments could be drawn to link fictional reading to political life. An exception is Aubry's statement that, of readers who reviewed The kite runner online, "those on Amazon who interpret the book as supporting Bush's overall foreign policy outnumber those who read it as rejecting his policy by approximately two to one," pp. 191-192. The best kind of evidence we have on the pressing ills of American society, which include (as compared with those in many other countries) high rates of imprisonment, low interpersonal trust, poor overall educational accomplishments, and poor health outcomes, is that all these effects derive from huge discrepancies of income, with the top 20% of incomes in USA being 8.5 times the size of the bottom 20% (Wilkinson & Pickett, 2009; see also Judt, 2010). This level of inequality is twice that of some other industrialized nations, and it is large enough for Wilkinson and Pickett to worry that it verges on social breakdown. The most straightforward argument from this evidence is that moving politically towards greater equality in America might be prompted by increasing empathy for others. In this way, reading fiction would not be mere indulgence in fantasy but a step towards political change. In historical terms, Hunt (2007) has shown that emotional understanding derived from fiction contributed to establishing consciousness of, and political movement towards, human rights (see OnFiction, 1 Feb 2010, click here). Timothy Aubry (2011). 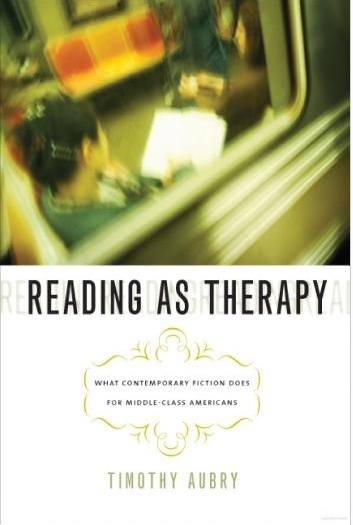 Reading as therapy: What contemporary fiction does for middle-class Americans. Iowa City: University of Iowa Press. Lynn Hunt (2007). Inventing human rights. New York: Norton. Tony Judt (2010). Ill fares the land. New York: Penguin. Keith, I enjoyed this and I was very glad to see you making use of "The Spirit Level" in this way. This idea that there can be, so to speak, false sympathy or illusions of sharing a common humanity seems to me to have broad application.